Mexico City is huge, so choosing the right location is essential in getting the most out of your trip. That is why all our Mexico City apartments are located in two of the city’s best areas: Condesa and Polanco. The Condesa neighborhood is one of the most stylish in Mexico City. Its tree-lined streets offer a myriad of restaurants, bars, galleries, cafés, and shops. Chapultepec Forest and Parque México are close by, so is Paseo de la Reforma — Mexico City’s own Champs Élysées. It is also in the same borough as, and relatively close to, the city’s Historic Center, a central place of Mexican identity. Condesa Parque Mexico is a fantastic rental in Mexico City. Housed in a French neo-classical building in front of Parque Mexico, this three-bedroom luxury accommodation is trendy and cultivated but with an unshowy and playful side. Guests will enjoy its open living area, a perfect place to mingle with friends or family before an adventure into the city. A separate relaxing room with a soft sofa and a flat-screen TV is the spot to be after a long day of walking. 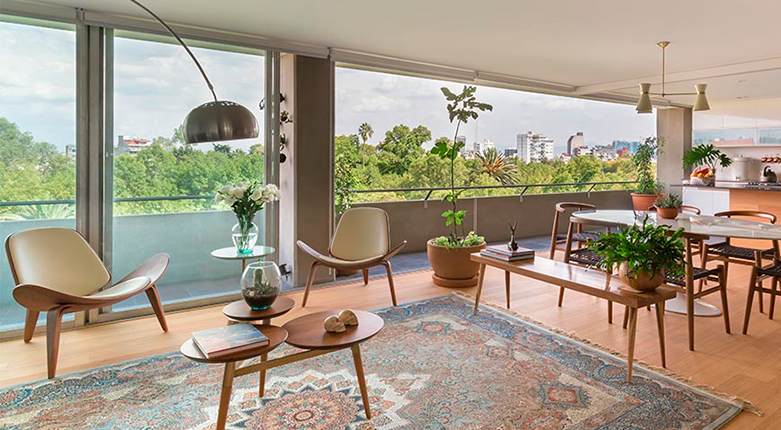 The Penthouse at Laredo Summit is another splendid luxury rental in Condesa. It sleeps up to seven guests in three bedrooms at the fourth and top floors of a beautifully renovated building. Guests will love its industrial-chic look which is minimalist, modern, and unfussy. 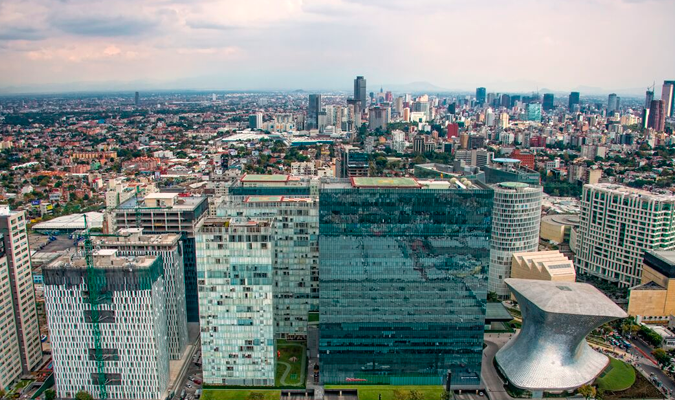 Sweeping views of Mexico City offer a unique perspective of this magnificent city and the perfect backdrop to enjoy a breakfast meal or evening cocktails. North of Chapultepec Park lies Polanco, a neighborhood sometimes called the Beverley Hills of Mexico City. Polanco is a true hub for upscale shopping — particularly Masaryk Avenue. That’s far from Polanco’s only attraction, though, as it is also culturally diverse and rich in its offerings, with various noteworthy museums. Art enthusiasts will love a stay at Siqueiros Dream, the former art studio of David Alfaro Siqueiros, an important Mexican 20th century muralist. This luxury rental comes dressed in chic metals, rich woods, and reflective glass with Mexican art providing a local touch. With three bedrooms, an outside seating area, and an eight-person dining table, Siqueiros Dream is ideal for a weekend escape with friends. Take cocktails onto the balcony and enjoy the splendid views. A great choice for culture buffs, Rodin is a beautiful apartment located within walking distance of Museo Soumaya and Museo Jumex. This gorgeous three-bedroom accommodation has been elegantly designed with mid-century furniture and styling. Floor-to-ceiling walls offer stunning views over the Polanco neighborhood and keep the apartment flooded with natural light. Botánico is newly renovated with décor and furnishings inspired by nature. This luxury three-bedroom apartment is just three blocks from Masaryk Avenue and close to everything you need. With so much going on nearby, you’ll appreciate the space and comfort this Polanco apartment provides. A plush living room connects to a modern dining room and full kitchen. Housekeeping will help to keep the place clean, while 24hr concierge and security are there to keep you safe. 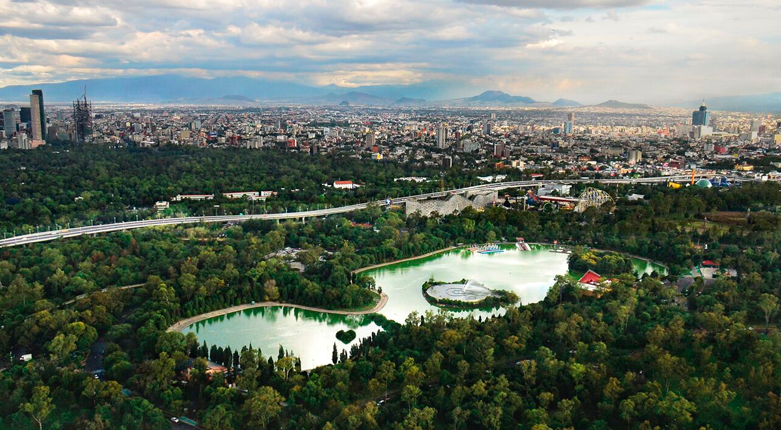 The largest park in Latin America, Chapultepec has something for everybody. History buffs can head to Chapultepec Castle, an important place in Mexican history since the time of the Aztecs. You can also visit the zoo, home to some 250 species and known for its successful breeding of giant pandas, ocelots, and axolotls. You’ll be close to Mexico City’s hottest shopping district. Visit the Antara Polanco Fashion Hall and explore the boutiques along Masaryk Avenue. If you’re a little homesick you can go to Saks Fifth Avenue on Plaza Carso. All our Mexico City luxury rentals are close to the city’s best museums. The National Museum of Anthropology is Mexico’s largest and most visited. 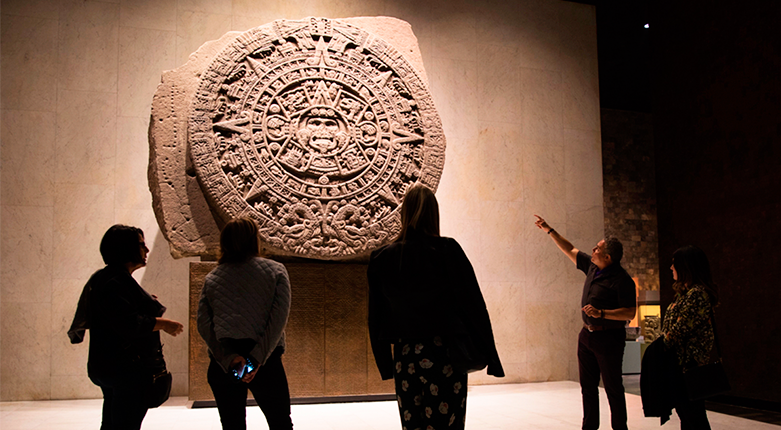 It is home to several important pre-Hispanic artifacts, like the Aztec calendar stone. As mentioned above, Museo Soumaya is right in Polanco. This museum, widely known thanks to its exterior design, hosts over 60,000 works of art from various European (Claudel, Picasso, Van Gogh, El Greco, Monet, to name a few) and Mexican (like Diego Rivera and Rufino Tamayo) masters, as well as sculptures by Rodin and Dalí. If you’re into contemporary art, head to the Jumex Museum and the Museo Rufino Tamayo. The Aztec sun stone at the Museum of Anthropology. Start the day with the little ones at Papalote Museo del Niño, a children’s museum with interactive exhibits on art, science, and technology, all with a focus on learning, working and communicating together. Afterward, go to La Feria Chapultepec Mágico to enjoy the thrill of the rollercoasters and many other rides. Located in Condesa, Azul serves authentic Mexican food, prepared with attention to detail, in a charming and elegant environment. Chef Ricardo Muñoz offers a seasonal menu that embodies Mexico’s various culinary traditions. An old-school cantina that’s been around since the 1940s. Reminiscent of a European tavern, El Centenario is perfect for having a beer and catching up with friends. The world-renowned creation of chef Enrique Olvera is located in Polanco. Plan ahead and make a reservation, whether you want an elegant dinner or a more casual lunch. Olvera’s menu is a delicious synthesis of traditional Mexican ingredients and dishes with modern Mexican techniques and flavors. Located in Condesa, Nómada serves desserts prepared with fresh Mexican ingredients. Some of their flavors include cardamom, corn, jamaica (hibiscus), and carajillo (coffee with liqueur). Another top restaurant located in Polanco. Chef Jorge Vallejo trained under Olvera at Pujol, and has been making a name for himself with Quintonil, now one of Mexico City’s best restaurants. Vallejo and his wife, Alejandra Flores, have created a relaxed, sophisticated locale that serves a modern twist on classic Mexican dishes. Inspired? Explore our stunning apartments in Mexico City and plan a trip — or a weekend escape — to Mexico City. As in-country experts, Villas by Journey Mexico provides 24/7 support to deliver an unforgettable holiday.